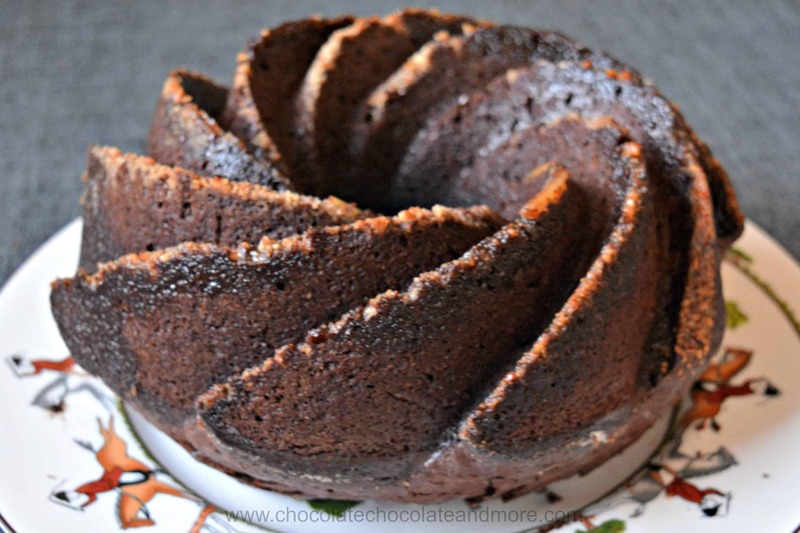 Chocolate Bacardi Rum Cake - Chocolate Chocolate and More! 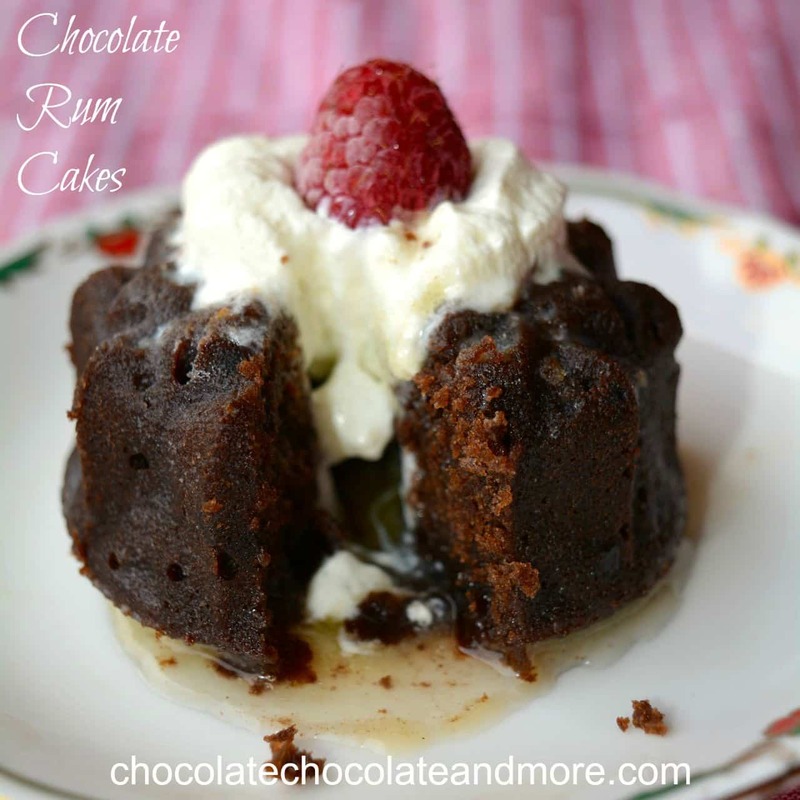 Chocolate Bacardi Rum Cake – light,moist chocolate cake soaked in rum sauce. This cake gets better after a few days if you can hold off that long. Remember the old Bacardi rum cakes? They were one of the first holiday cakes I learned to make. All you had to do was add pudding and rum to the box cake mix and change the amount of eggs and oil. I baked mine in the original bundt pan. Seems so plain now but it was beautiful and oh so moist. A few years ago, I wanted to make a Bacardi Rum Cake from the old recipe. I discovered that all the companies that make cake mix now put less mix in the box. So the old recipe proportions were off. I’ve been making my rum cakes from scratch since the change. But there are times when you wish you could just use the old recipe. Cake mixes have been on sale lately. A box of cake mix that costs around $1 in the US runs about $3- $4 here in Cambodia. So a sale means a box of cake mix for around $2. I’ll take it. Some recipes take several tries before I get it right. The toffee almond florentine cookies took 4 tries before I got it right. The apple cinnamon rolls took 3 tries before I was satisfied. Fortunately my friends are willing to eat my mistakes. Usually they taste good but they’re not good enough to post here. The bottom line is if I’m going to make a recipe that starts with a box mix, I need more than one box just in case. I bought several boxes of devils food cake mix and got to work. Cake mix companies didn’t reduce their boxes by a simple proportion (like 1/4 or 1/5). To get the proportions right some of the measurements are a little strange 6 1/2 tablespoons for example and there’s a little too much pudding for the right proportions (you should subtract 2-3 teaspoons of pudding mix if you want the exact same proportions as the original recipe). It worked on the first try. I took my chocolate Bacardi rum cake to a potluck last night. People there ate it so fast I didn’t even get a slice. Those who tried it told me it was light, moist and flavorful. Several people asked me for the recipe on the spot so you know it’s good. If you’ve ever made the old Bacardi rum cake recipe, you’ll be a little disappointed in the size of this cake. It only filled about half of my Bundt pan so it’s a small cake. Doubling the recipe would make too much for the pan. Maybe triple it and use two bundt pans if you have a large enough oven. The good thing about a smaller cake is that it bakes faster – only 45 minutes instead of 1 hour. The other issue is the left over pudding mix. You’ll end up with a few tablespoons of pudding mix left from the box. I’ll have to figure out a recipe to use that. I hate to throw things away. 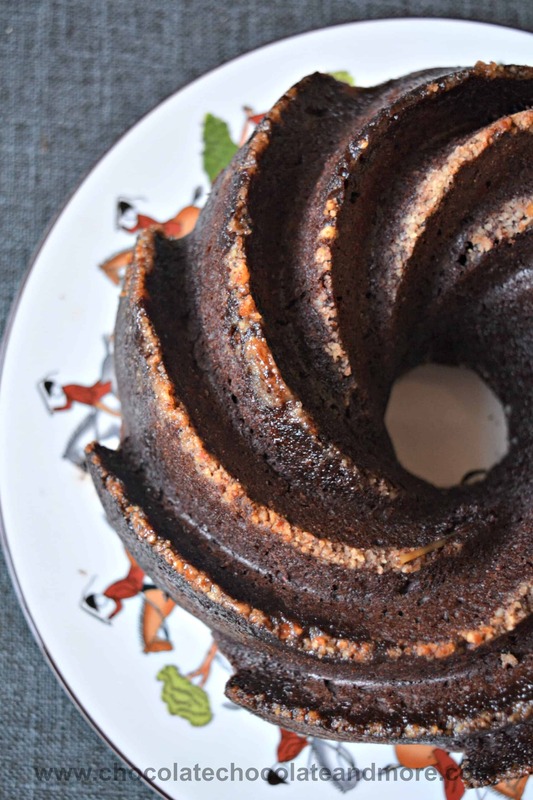 This Chocolate Bacardi Rum Cake is much lighter than my from-scratch chocolate rum cake. 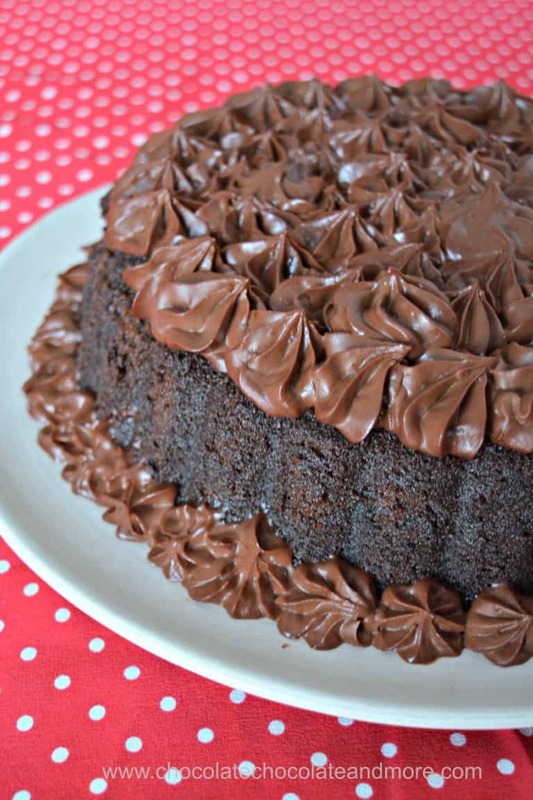 The flavor is still a nice balance between rum and chocolate and it’s still wonderfully moist. Lightly oil an 8 cup bundt pan and sprinkle bottom with finely chopped pecans. Put all the remaining cake ingredients in a bowl and hand mix until combined. 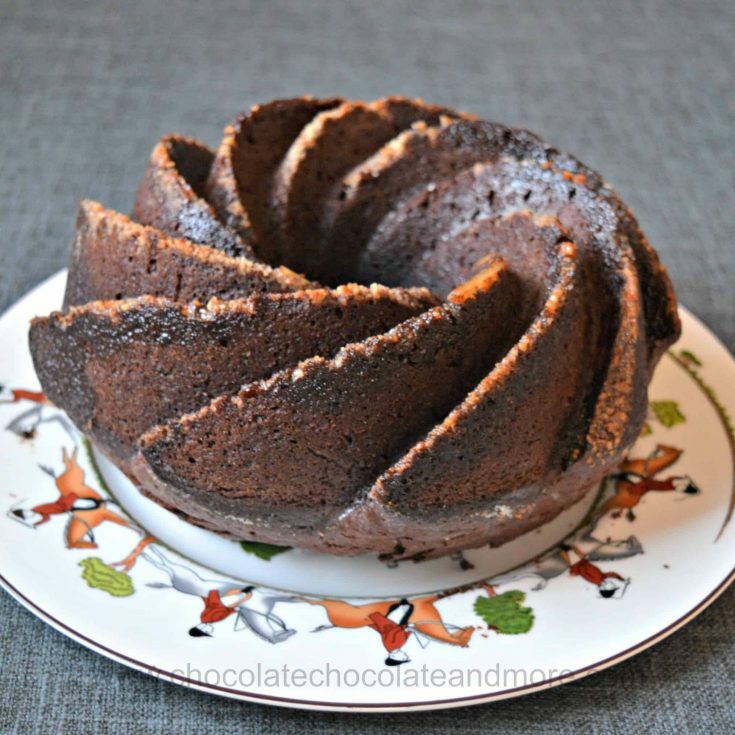 Pour evenly in the prepared bundt pan and bake at 325°F for 45 minutes or until a cake tester comes out clean. Let cool in the pan. While the cake is cooling, make the soaking syrup. Place the butter, water and sugar in a pan and bring to a boil. Boil for about 5 minutes until it thickens slightly. Let cool to luke warm and add the rum. Use a skewer or spaghetti noodle to poke holes in the cake (this lets the syrup penetrate the cake). Drizzle the soaking syrup over the cake allowing it to soak in as much as possible. Let the cake sit until the soaking syrup is absorbed and then remove it from the pan. If it sticks to the pan. place it in a warm (350°) oven for about 5 minutes to warm the syrup and loosen the cake. Then try removing it. Looking for more rum cake recipes?